Salt is the ingredient that we rarely use in the dessert or sweet, most of the time, we use a tiny amount of it to bring out other flavor (a bit of salt will balance the flavor). I think salt is very important, so, most of the time when I see the recipe without the salt in the ingredient list I will add it ^^. But this time the salt is not come as the flavor helper, it’s the main flavor! 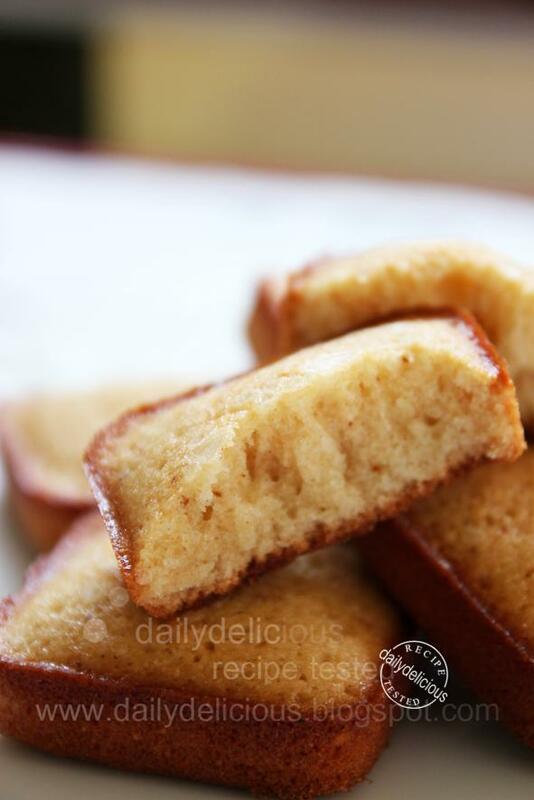 This financier has saltiness as the key, and it’s great! Everyone who tastes it told me that they are surprise by the taste; the sweetness and the saltiness come along together so well that they just can’t stop eating it. The only change that I make for this time is the kind of salt, while the book suggest the “fleur de sel” I have only the Maldon sea salt, so I use what I have, haha. So, if you don't have any kind of the salt that I talk about, just use any sea salt that you have on hand. The recipe come from ........................ I really like this book, because most of the dessert and baked goods in this book are easy to make at home while some of them have look great enough to be a show stopper, but anyway we will talk about the book later, haha. I really want everyone to this recipe, because you will wander how salt can turn simple little cake into something very special ^^. 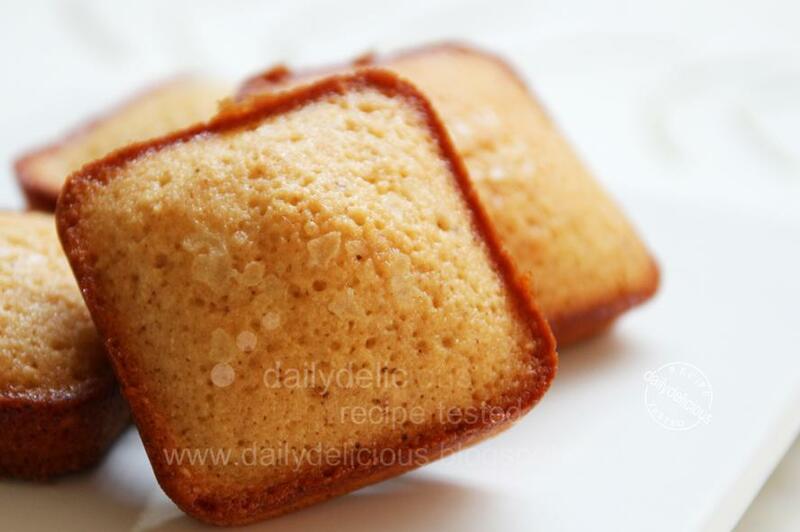 The taste of this financier is salty sweet, it’s great to serve this little cake with a cup of hot tea (the Chinese tea is a good companion), and be prepared your guest may think they never have enough of it. 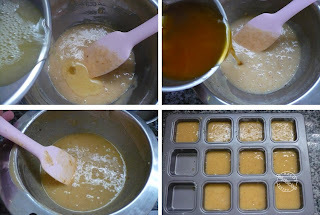 Put the butter into saucepan and melt over medium heat, then lower the heat and let the butter brown (you can see that the milk segment will turn into brown bit). Let the butter cool (you can speed this process by place the saucepan over the ice bath). 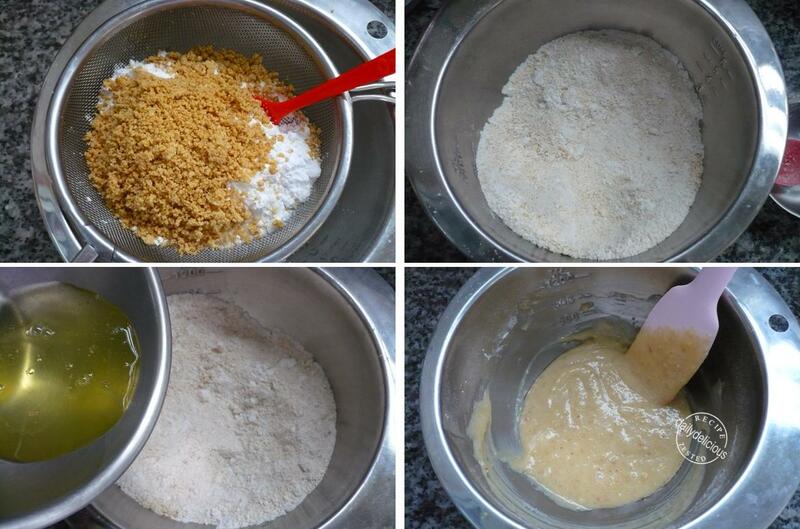 Preheat the oven to 150°C then roast the almond and hazelnut powder for 15 minutes. Let the nut powder cool a bit before using it. Meanwhile turn up the heat to 230°C. Sift the roasted nut powder with flour and icing sugar. Pour half of the egg white into the flour mixture. Put the rest of the egg white into a bowl; pour the invert sugar (or honey) into the bowl. Place the bowl over warm water, stir the mixture until the temperature turn into 40°C, and the invert sugar melted. Brush the pan with butter. Pour the egg white mixture into the flour mixture, follow by the melted butter, stir to combine. 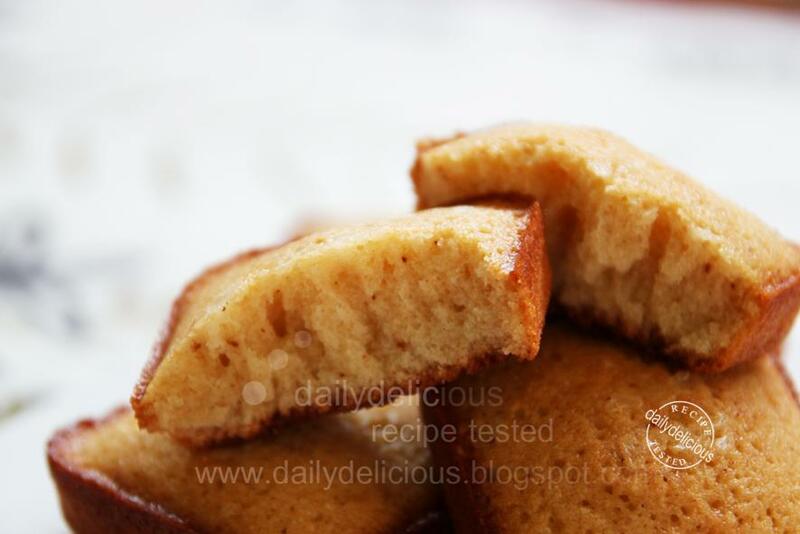 Divide the batter into the prepared pan, and sprinkle with the salt. Put the pan into the oven and turn down the heat to 190°C. Bake for 16 minutes or until the financier is brown. 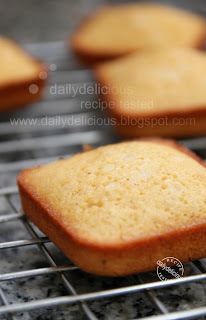 I would like to try this savory salted financier. Looks good! 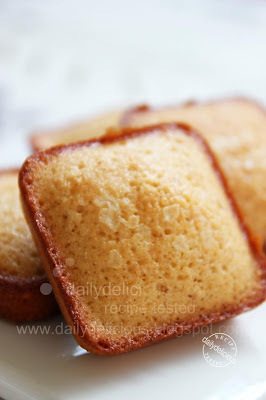 savory financier, sound so interesting! hi pook whats the name of the book?